What is my Artist Dashboard? The Artist Dashboard is essentially your home base on Threadless and Artist Shops. 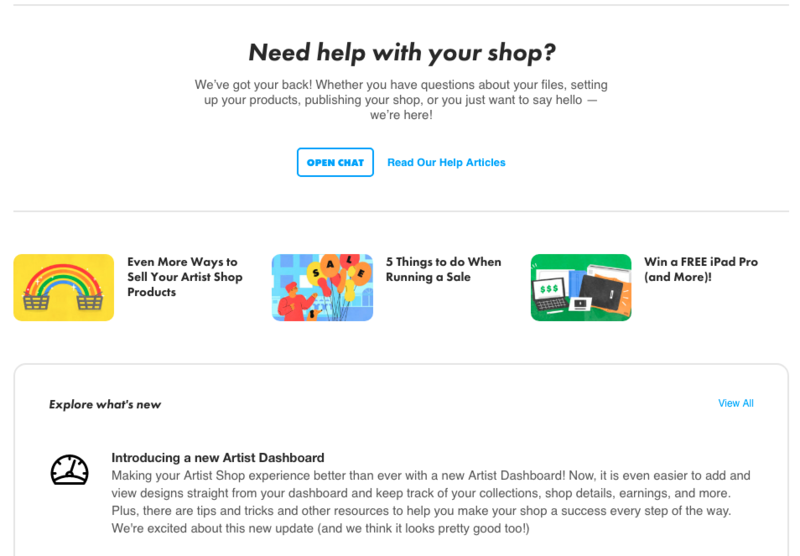 This is where you can open and manage your Artist Shop, submit and manage designs in the Threadless challenge, set-up payments and view your earnings, and find the help you need to do any of those things. To find your Artist Dashboard, login to your Threadless account and click the blue 'Artist Dashboard' link or the Your Artist Dashboard link from the dropdown menu. Customize your Shop's Layout, Font, or Colors. Creative Resources: Tips and resources to help make your Artist Shop awesome. Changelog: Find information about recent releases and updates on both Threadless and Artist Shops. 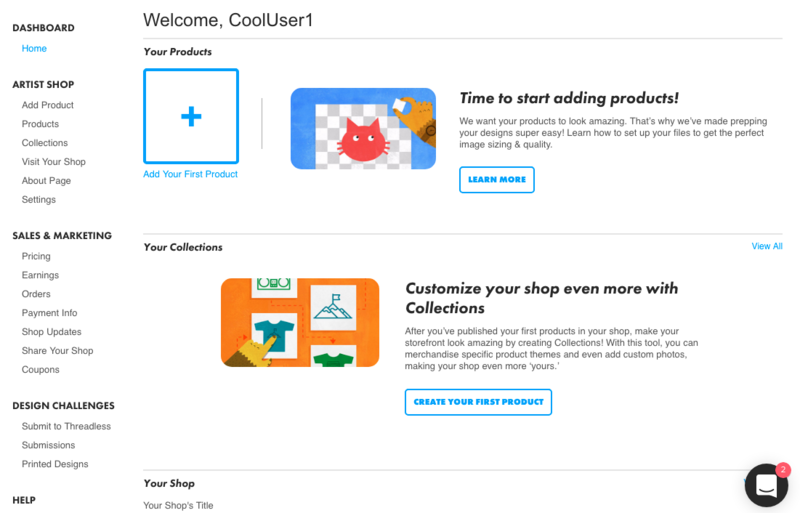 Add Product: Upload your designs and choose products to add to your Shop. Products : Update your product offering, product description, and product tags. Visit Your Shop: Quick link to your Shop URL so you can see your Shop in action and customize it as needed. Settings: Set up Google Analytics, Shop description, or change your Shop URL. Payment Info : Maintain your payment details, Mailing Address, and Paypal account for Artist Earnings. Submit to Threadless: Submit a design to the Threadless competition. Submissions : View your Threadless submission and upload your high-res files. Printed Designs : View your selected Threadless designs, submit your print ready artwork, and add product details. FAQ : Submit a design to the Threadless competition.